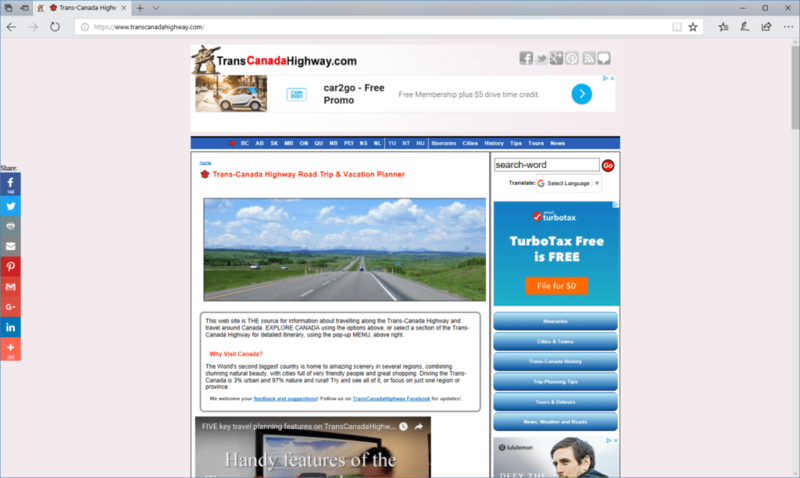 This web site is THE source for information about travelling along the Trans-Canada Highway and travel around Canada. EXPLORE CANADA using the options above, or select a section of the Trans-Canada Highway for a detailed itinerary. The World’s second biggest country is home to amazing scenery in several regions, combining stunning natural beauty, with cities full of very friendly people and great shopping. Driving the Trans-Canada is 3% urban and 97% nature and rural! Try and see all of it, or focus on just one region or province. We have designed, built, and maintained this website (and its various social media channels) since inception in 1999.